Apple Turnovers made completely from scratch! 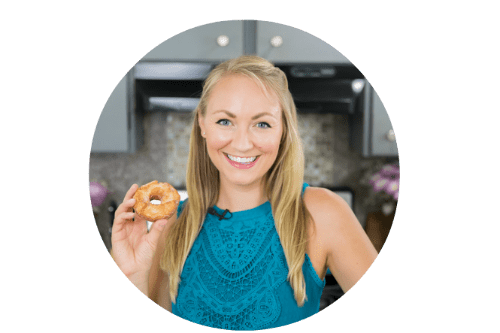 This recipe starts with my homemade pie crust, is made with a simple apple filling, and topped off with a drizzle of vanilla glaze! 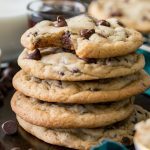 Better than store-bought! I thought that since today is my 3 year wedding anniversary (already!?! ), I’d celebrate with a throwback to the place where Zach and I first met over a decade (!?!) ago. I know I’ve mentioned this before, but Zach and I met when we were just 16, beneath the cherry and apple turnover display of our local Arby’s fast food restaurant. It was a first job for both of us, and even though it took two years for us to finally start dating (though I couldn’t have dropped any more hints) and I’m happy to never actually set foot in an Arby’s again, I have a little bit of nostalgia for the place where I met my now-husband, and for the turnovers that they sold there 😉. I don’t think Zach ever really enjoyed their apple turnovers, and honestly, neither did I, but he would help me pack up the leftovers at the end of the day into a brown paper bag to take home to my family members, who loved them. 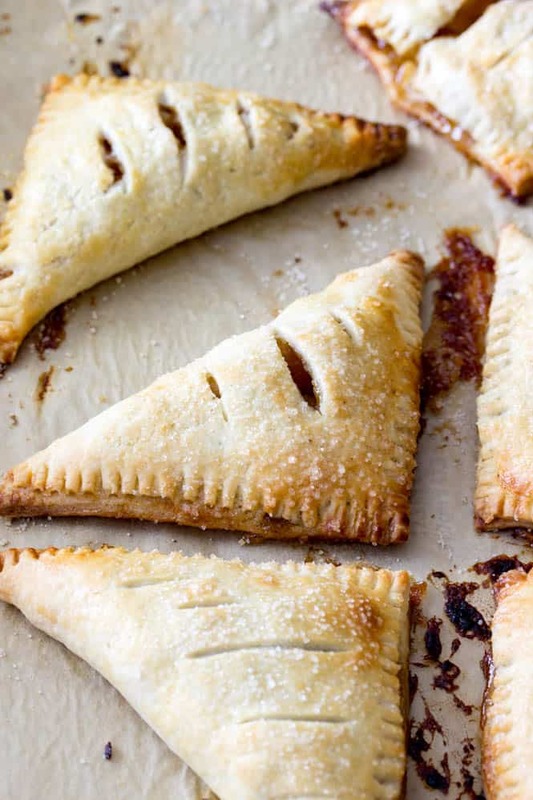 My sister, Andi, has been asking me for years to recreate their turnovers, and while I took some creative license to improve this recipe, she was really, really happy with the outcome. 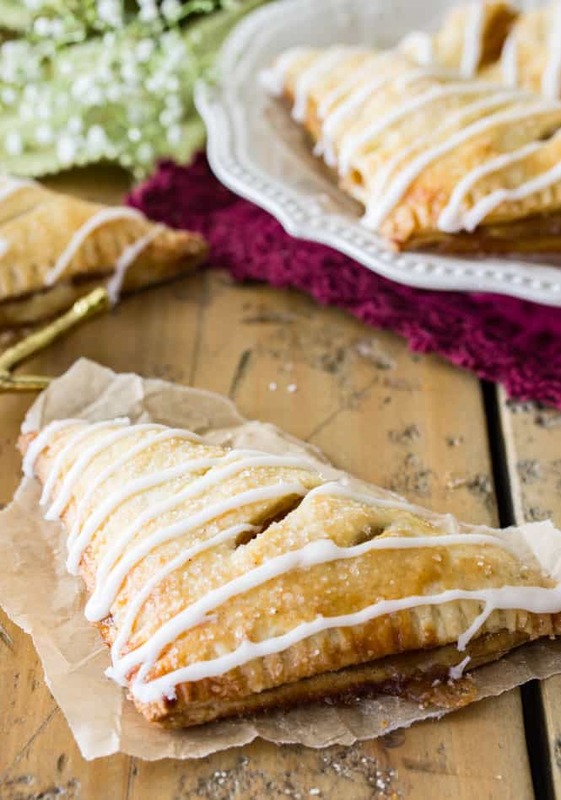 These apple turnovers are made completely from scratch, and instead of a thick flaky puff pastry, I opted to use my homemade pie crust recipe instead, which makes these like sweet little hand pies. 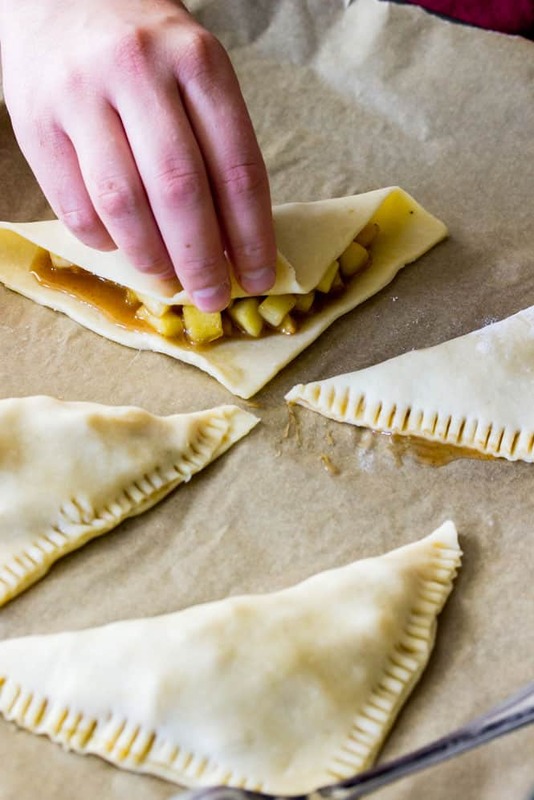 It also allows a lot more room for the apple pie filling, and you’ll have buttery, flaky crust and sweet caramelized apple filling in each and every bite. 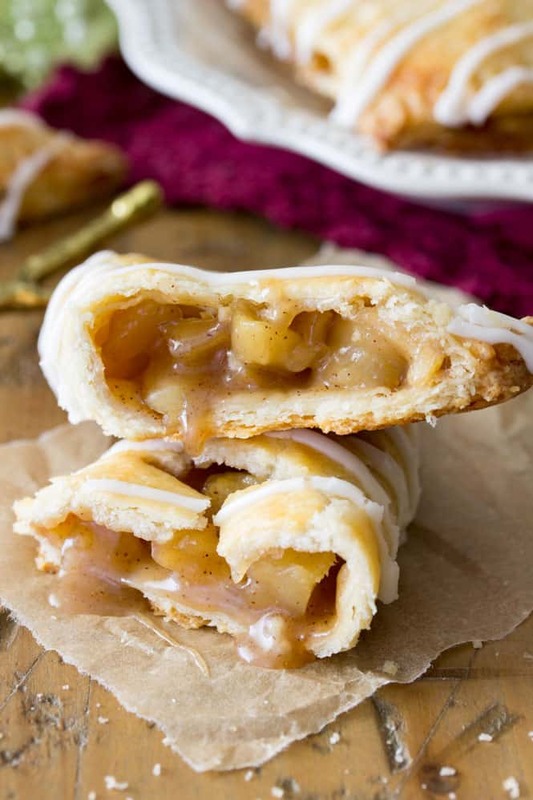 Make sure that when you’re making your apple turnover filling, you cut your apples into small pieces. It will look like a lot of apples when you first add them to your pan, but they’ll cook up in the pan and will be just enough to fill your crust. Let the filling cool before adding it to your dough, otherwise you run the risk of melting your pastry dough. 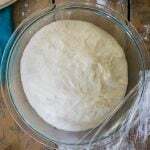 If you do find that your dough becomes too soft to manage in this process, just return it to the refrigerator for a few minutes and it will firm back up. I brushed the turnovers with a simple egg wash to help them get that golden brown color, and I also sprinkled them with coarse sugar before baking. The recipe calls for an easy vanilla glaze that I also topped them with, and while I recommend both the sugar and the glaze (hi, yes, sugar fiend here 🙋🏼), these would be fine with either just the sugar or just the glaze. Apple turnovers made from scratch using my all-time favorite pie crust! Break your chilled pie dough into two pieces that are roughly the same size. Transfer to a lightly floured surface and roll one piece into a rectangle about 1/8" thick. Using a pizza cutter (or a knife and a straight-edge, such as a clean ruler), neatly cut dough int 4.5" squares and transfer to a parchment-paper-lined baking sheet (you will need to gather the scraps and re-roll them out to make all 10 turnovers). 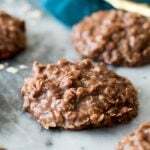 Place squares on a parchment paper lined cookie sheet and return to the refrigerator. Repeat rolling and cutting with your second half of pie dough. 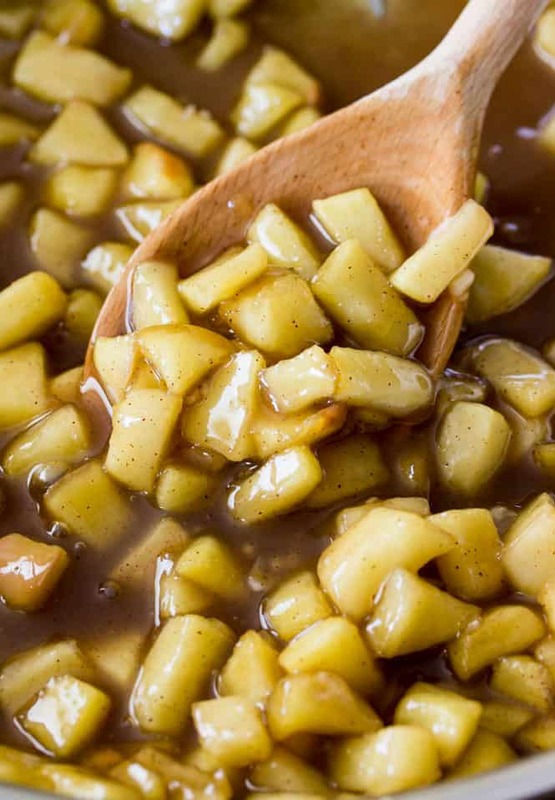 Prepare your apple filling by combining your apples, brown sugar, and butter in a medium-sized saucepan over medium-low heat. Stir frequently until butter is melted, then add cornstarch, cinnamon, vanilla extract, and salt. Increase heat to medium and bring to a simmer and simmer for 5 minutes, stirring occasionally. Remove from heat and allow mixture to cool (at least 15-20 minutes) before proceeding. 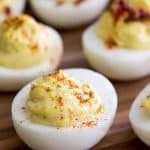 Prepare egg wash by combining egg and teaspoon of water in a small dish and stir/scramble well. Lightly brush the insides of your pastry squares with egg wash. Portion about 2-3 Tablespoons of apple pie filling into the center of each square. Gently fold over one corner to the other to envelope the apple filling. Use the tines of a fork to press and seal the turnovers. Brush the outside lightly with egg wash, cut small slits across to vent, and sprinkle with coarse sugar, if desired. Bake on 400F (205C) oven for 25 minutes, until pastry is beginning to turn golden brown. Allow to cool before drizzling with glaze. 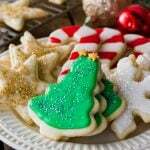 Whisk together powdered sugar, 2 teaspoons of milk, and vanilla extract in a small bowl. 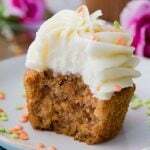 If mixture is too stiff to drizzle, add more milk, another teaspoon at a time, until a fluid consistency is reached. Drizzle over slightly cooled turnovers. Enjoy while still warm or allow glaze to harden before enjoying. I made the filling for my homemade puff pastry and it is perfect. The flavor is spot on, and the consistency just right, it didn’t soften or made my turnover soggy long after baking. I used 4 Granny S., brown sugar, some extra cinnamon and a touch of nutmeg. Fantastic. Thank you for sharing. Sure, it will just be richer. Enjoy! Is it possible to freeze these if they aren’t eaten before? Hi, Sam! 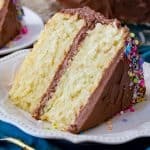 I’m thinking about making these for my diabetic Grandfather. 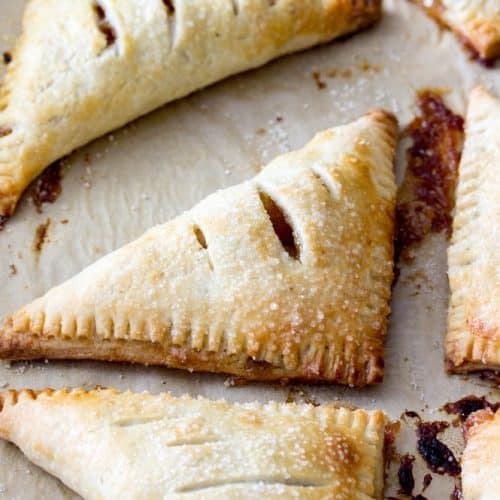 Do you think these turnovers would work with a sugar substitute? Or would it likely change the consistency? Would I use the same amount of sugar substitute as you noted for brown sugar? 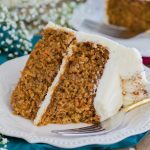 Thank you for sharing all your delicious recipes! Hi Rachel! I am honestly not very unfamiliar with using sugar substitutes. However I did some reading and I believe that it would work to use a sugar substitute (though I think I might skip the sugar topping/glaze, I don’t know that it would work for that). 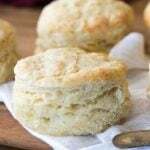 How much to use will vary depending on the substitute that you are using, I would start with just using 3-4 Tablespoons and then taste-testing until you reach the desired sweetness. Please keep in mind that I have not tried this myself and am hesitant to suggest doing it because I can’t guarantee the outcome, unfortunately, but I do think it could work. 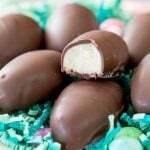 Hello Rachel S. I was wondering how these turned out for you using the sugar substitute. I am debating on trying it myself. This comment just made my day, thank you, Josi! My little sister (the youngest one, I have 4 little sisters 😂) absolutely loves this recipe too and ALWAYS asks me to make it for her! Oh, Samantha, these are so good. Made them today thinking I might freeze some, but they won’t make it. The filling is wonderful. My house smelled of cinnamon and vanilla. I’m going to make another batch of these tomorrow, for the freezer. Our trip to Apple Hill thus year really paid off. Thanks for sharing, they were delicious! !